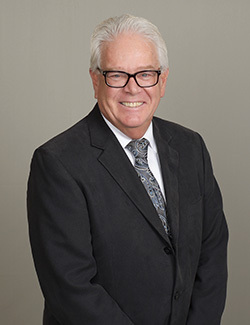 Michael E. Jones received his Bachelor of Science degree in 1968 from San Diego State University, and his Juris Doctor from University of San Diego in 1972, and was admitted to the State Bar of California the same year. Mr. Jones is a member of the State Bar of California and the United States District Court, Southern District of California. He is also a member of Valley Industrial Claims Association. He has served as a Workers’ Compensation Judge Pro Tem and as head of the workers’ compensation section of San Diego County. Mr. Jones holds the distinction of practicing at every Workers’ Compensation Appeals Board in the State of California. Mr. Jones has practiced law in San Diego, Sacramento, and San Francisco. He was in private practice in the early years of his career, moving on to an associate attorney position with a San Diego firm in 1987. From 1990 until 2002 he was a partner at Jones & Brownell. Mr. Jones joined Dietz, Gilmor & Associates in 2002 and became managing attorney for the firm’s San Francisco office in 2003. After successfully managing that office for several years, he returned to the San Diego office in 2009 and continues with the firm of Dietz, Gilmor & Chazen. He is experienced in workers’ compensation, and disability retirement claims. Mr. Jones enjoys challenging cases and has never lost a Labor Code Section §132a or serious and willful claim.